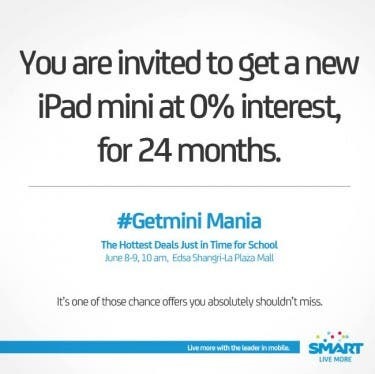 Smart, the leader in mobile, is having a #GetMini Mania event this weekend at Shangri-La Mall in Mandaluyong City where you can avail an iPad Mini at P9,000.00 off! 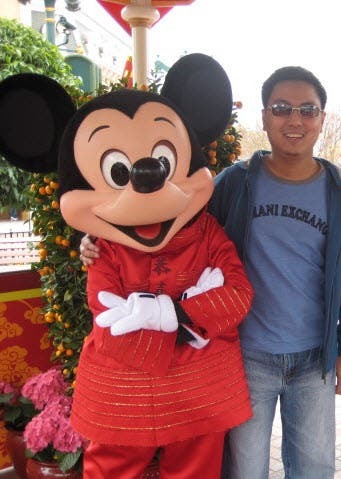 Planning of getting an iPad Mini powered by Smart LTE? This weekend, June 8 and 9, Smart is offering discounted plans for the recently-launched iPad Minis: Plan 499 and Plan 999. 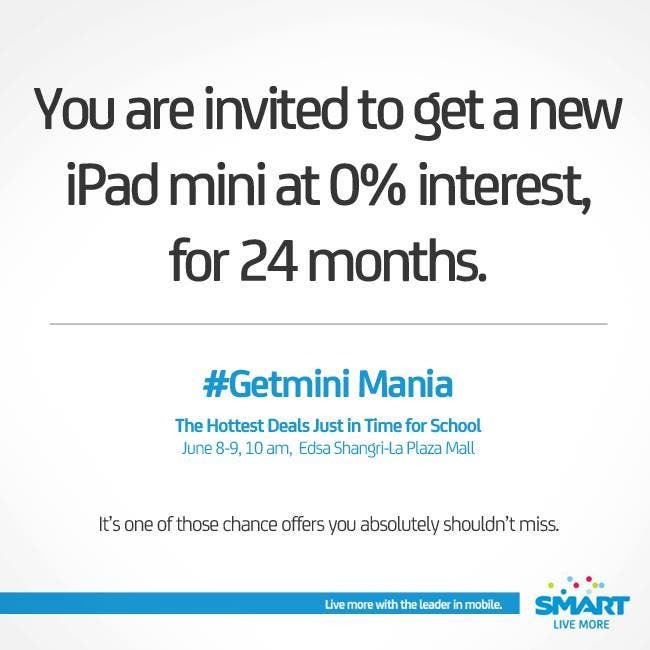 For Plan 499, you’ll get a brand new iPad Mini at 0% interest for 24 months. 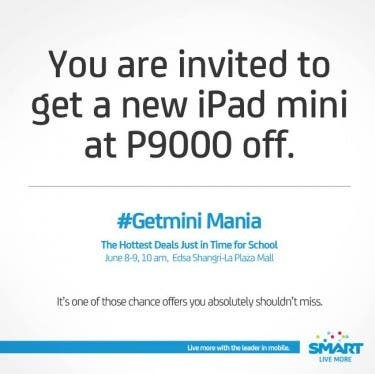 And for Plan 999, you’ll get a brand new iPad Mini at Php 9,000 off! 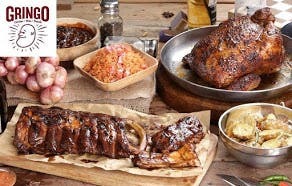 This is definitely one of those chance offers you should not miss! anyone, 9k lang ba? O minus 9k?? ?